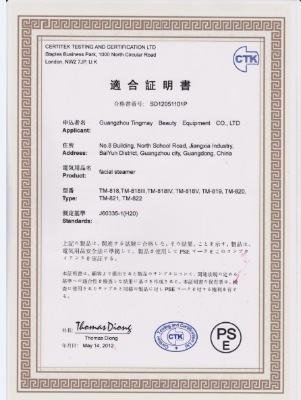 Company Overview - Guangzhou Tingmay Beauty Equipment Co., Ltd.
8YRSGuangzhou Tingmay Beauty Equipment Co., Ltd.
Our Payment Information:Beneficiary Bank:HSBCBeneficiary Name:HK Tingmay beauty equipment CO.,LtdSwift Code:HSBCHKHHHKHBank code:004Bank account no. :801183930838Beneficiary Bank Address:1Queen's Road Central,Hongkong	Our advantages:1-You can get the top quality. 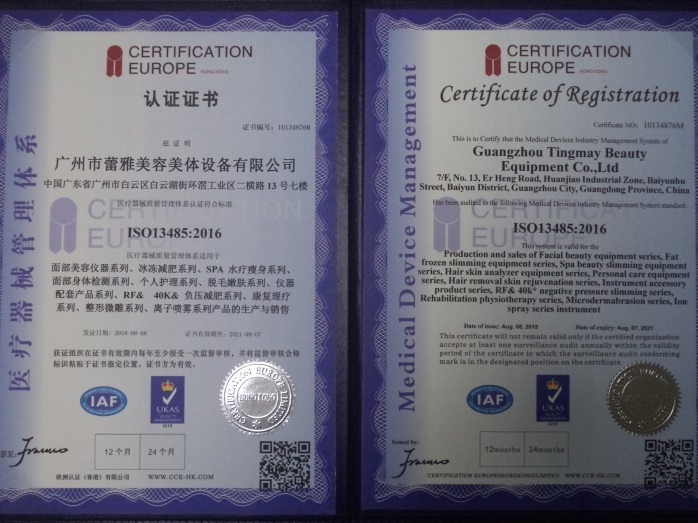 Our plant was strictly designed and established accord with the standards of CE2-Our products have an excellent reputation among our customers from Japan, U.S.A, Australia and Europe. "Quality is first, reputation is life"3-You can get our most favorable price and a proper discount according to the quantity ordered if you place regular orders for large quantities. 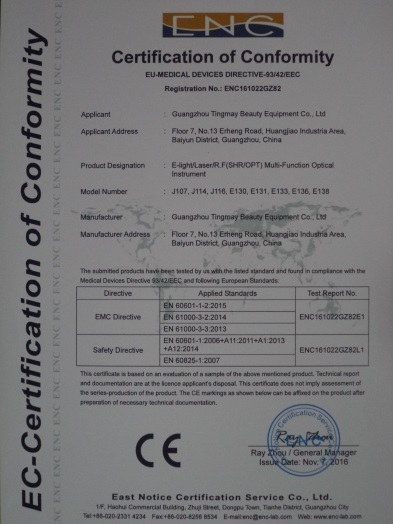 4-We are your reliable supplier as we have more than 10 year's experiences. 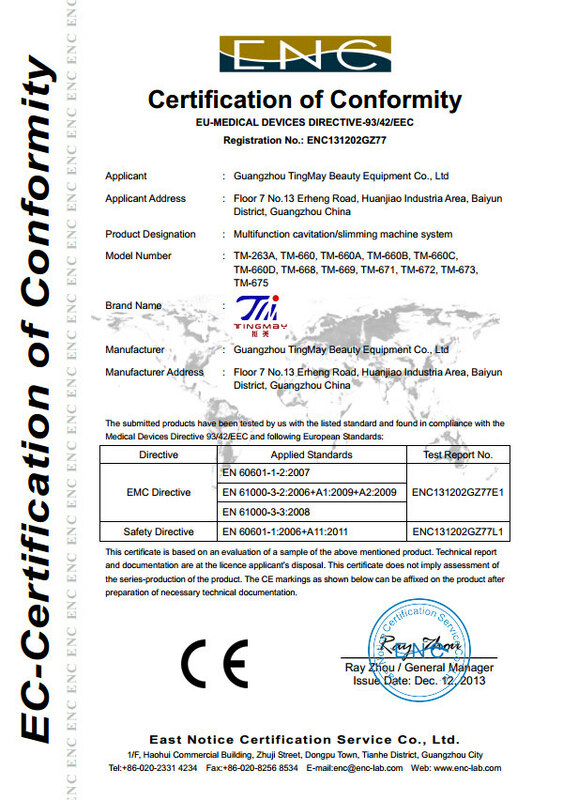 besides , we have got many certificates, 5-we promise 1 year guarantee and lifetime maintenance.Guangzhou Tingmay beauty equipment CO., LTD is engaged in designing and manufacturing beauty equipment more than 10 years . 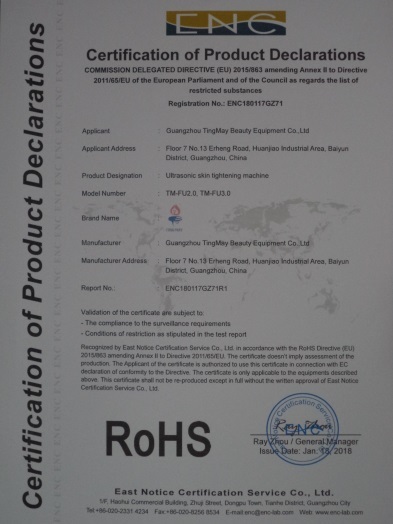 our products have been exported to Japan and south east of Asia ,European, successfully , which get good feedback from our customer .We are a professional manufacturer of beauty equipment , which integrates the advanced R&D ,manufacturer, sale and service. 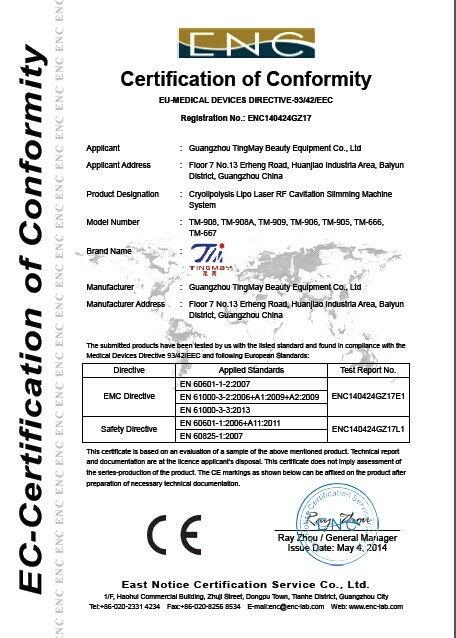 At presently , we have 10 series beauty equipment.Presently our after sell service group is covered all over 20 cities in the world .Our Company keep in pursuing high tech , high quality , high therapeutic,as well as good after sell service . 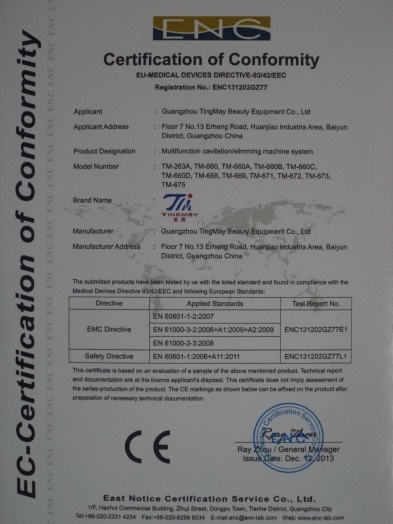 To ensure that our machine can fully play its feature .we can also provide our customer training program , to benefit each of our customer , to make the more health and more beautiful.Tingmay aims to cooperate with our old and new customer with win-win situation. Meanwhile , OEM/ODM cooperation is welcome. Hope that we can develop hand in hand , to build a beautiful future. 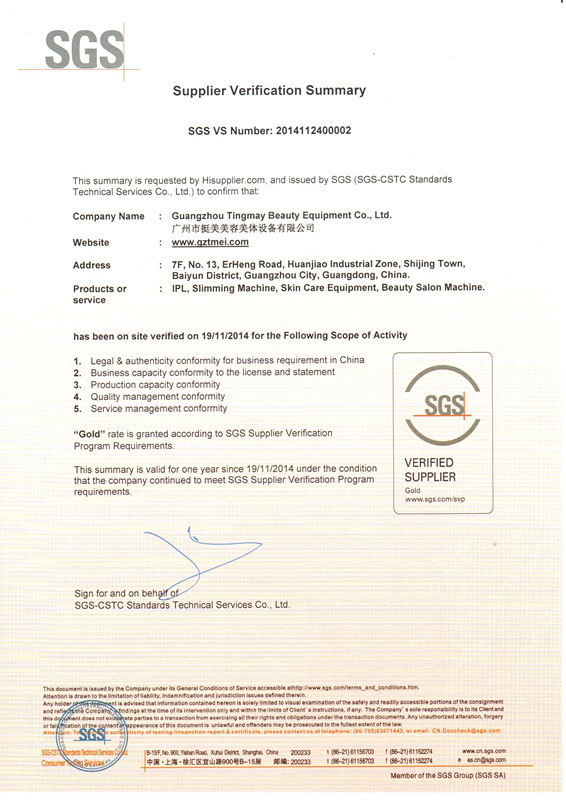 East Notice Certification Service Co.,Ltd. 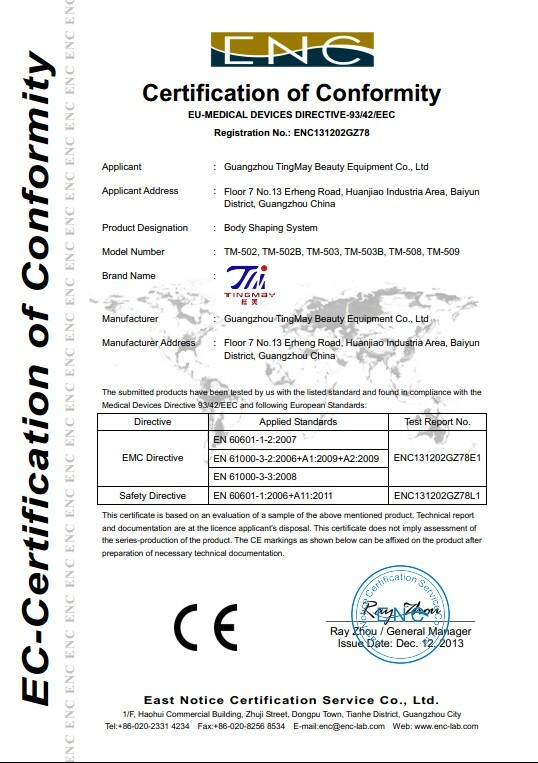 Production and sales of Facial beauty equipment series, Fat frozen slimming equipment series, SPA beauty slimming equipment series, Hair skin analyzer equipment series, Personal care equipment series, Hair removal skin rejuvenation series, Instrument accessory product series, RF & 40* negative pressure slimming series, Rehabilitation physiotherapy series, Microdermabrasion series, Iron spray series instrument. 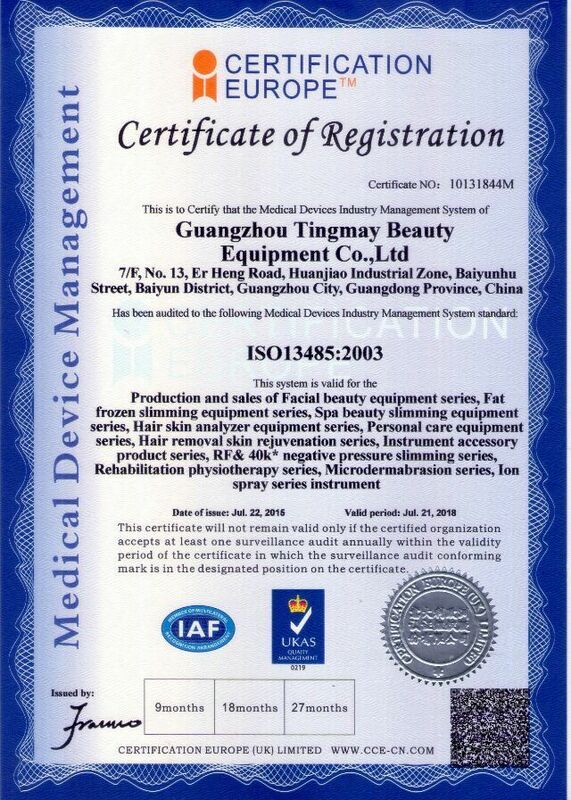 Facial beauty equipment series,Fat frozen slimming equipment series,Spa beauty equipment series,Hair skin analyzer equipment series,hair removal equipment series,physiotherapy series,Microdermabrasion series.